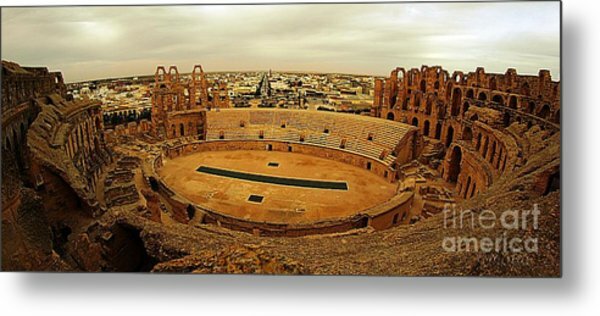 El Jem Amphitheatre Tunisia is a photograph by Amalia Suruceanu which was uploaded on January 20th, 2013. 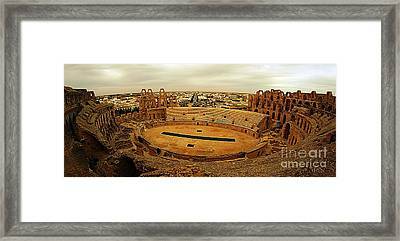 The impressive ruins of the largest Colosseum in North Africa, a huge amphitheater which could hold up to 35,000 spectators, are found in the small village of El Jem. This 3rd-century monument illustrates the grandeur and extent of Imperial Rome. 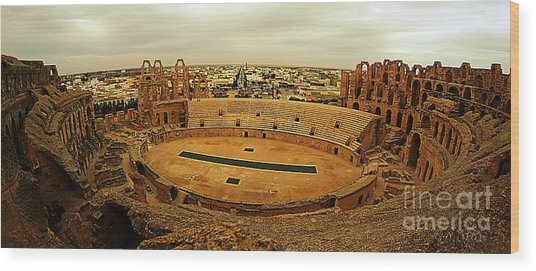 The Amphitheatre of El Jem is one of the rare monuments of its kind and unique in Africa, which is not built against a hillside, but on flat ground and supported by a complex system of arches. 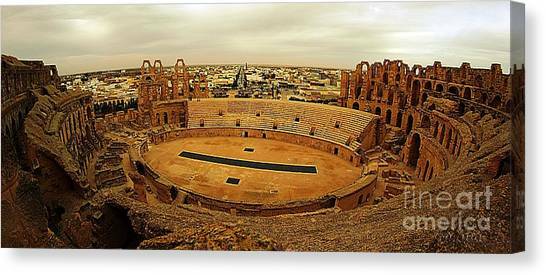 The monument of El Jem is one of the most accomplished examples of Roman architecture of an amphitheatre, almost equal to that of the Coliseum of Rome. 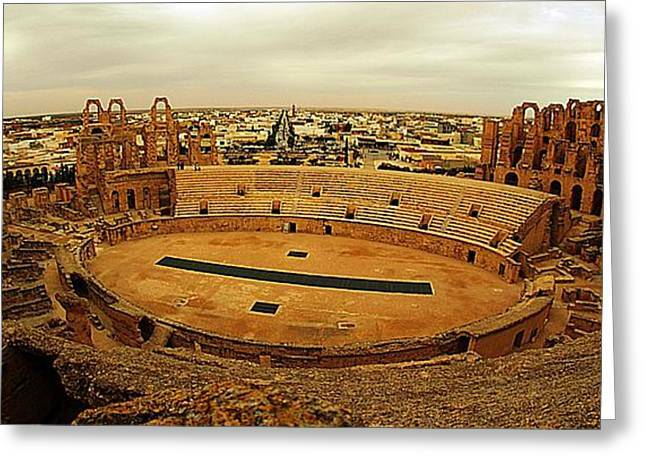 Excellent presentation of this panorama, Amalia! I love the vintage tones and atmosphere! Deeply appreciated your comment, thank you! Thank you very much, Hannes!